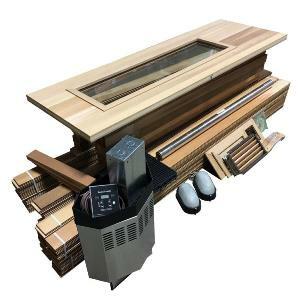 While there are many types and sizes of infrared sauna heaters, there continues to be a debate over ceramic or carbon IR sauna heaters. Which to choose from. In most cases they are both good. However, before you buy a sauna room, ask your supplier two questions. #1 can I get replacement heaters? #2 will your heaters work with any sauna controller. These two questions supersede the carbon/ceramic sauna debate as this is irrelevant when you infrared heater or controller malfunctions and you find you can’t get replacement parts. At Heater4Saunas we are the manufacturer of our sauna rooms and as such we use standard sauna controllers that will work with both IR panels and traditional Finish heaters. Our Carbon IR panels are UL certified and we have been using them for 20 years. These are important facts as we field 100's of calls for customers looking for a replacement ceramic heater for their sauna or a controller only to find out all the parts were made in China and not available for replacement in North America. N ow back to the actual debate…… Carbon Fiber produces a lower temperature over a larger area. This produces a sauna room with a more balanced heat distribution. Ceramic Infrared heaters get much hotter and also tend to burn out. However, as mentioned in the beginning most sauna whether using carbon or ceramic will provide you with a healthy sauna experience. 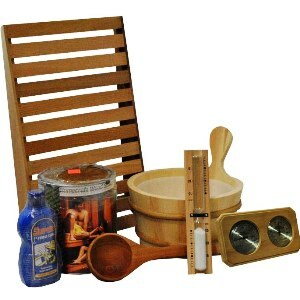 We are one of the few companies in North America that offer DIY sauna kits with the option of Infrared. 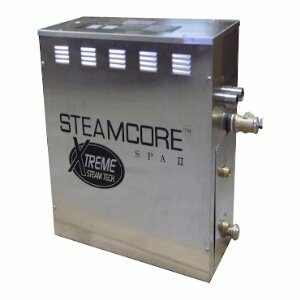 Most companies only sell complete pre-fab IR sauna so you have no choice but to buy their complete units? 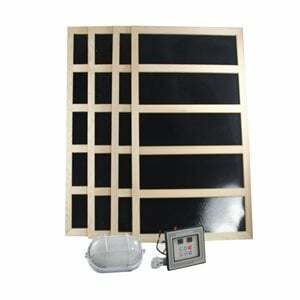 Our 300 watt infrared sauna heater is made from carbon fiber. These have large surface areas and hence provide a larger heating capacity compared to other smaller ceramic infrared heaters. The carbon fiber paper sheets placed in between 7 layers fiber glass (others only use 4) making them virtually indestructible. 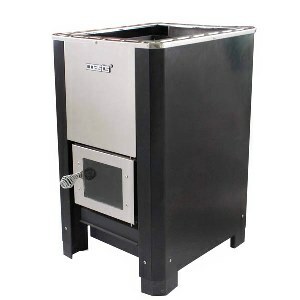 The heaters come pre-assembled in a basswood frame with a high limit safety switch. Now you can have the choice to use a traditional electric heater for your DIY sauna room or use Infrared Heating Panels to get the same health benefits. 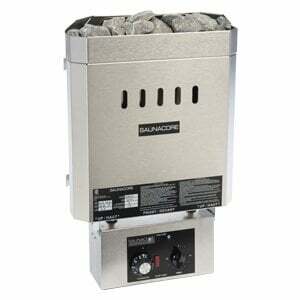 We also offer a Hybrid heating system for those that want to use both types of heater! Call us for more info on building a DIY sauna room with both types of heating systems 1 800 759 8990. In order to correctly size an infrared sauna heater you should calculate the cubic footage of your room. Each cubic ft. should have 15 Watts of Infrared heating capacity. So a 4' x 4' x 7' sauna room has 112 ft3 and will need 112 x 15 watts of heating capacity equaling 1680 watts. Based on 300 Watts per heater you should have at least 5-6 heaters in such a room size. This is a general rule and should be adjusted according to the location of the sauna and material. Glass and cement floors will require more power as will outside walls or concrete walls. A well-insulated sauna may require less than suggested. Remember you can always add more carbon fiber heaters to your sauna room if you feel it needs more.